The Central Indiana-based company has acquired Triple Q Foundations out of the Greater Cincinnati area. Custom Concrete, central Indiana’s quality concrete contractor, recently acquired Triple Q Foundations, based in Lebanon, Ohio. 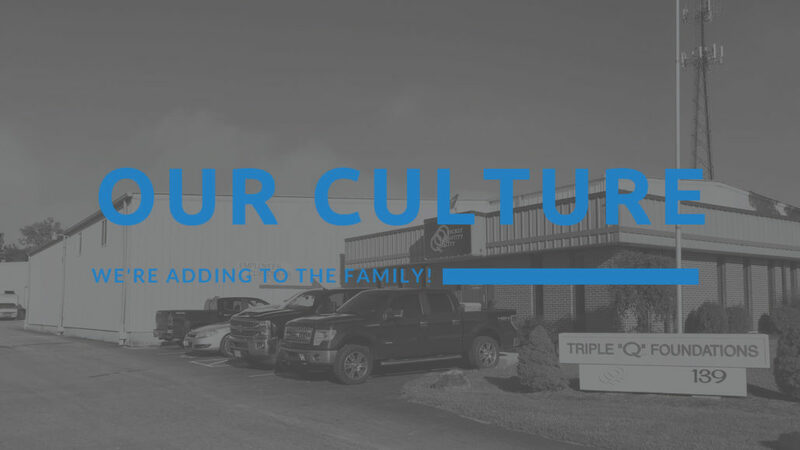 The addition of Triple Q Foundations expands Custom Concrete’s footprint beyond central Indiana to the tri-state region of southeastern Indiana, southwestern Ohio and northern Kentucky. Triple Q owners John and Tim Ball announced their intention to sell the company on Sept. 24, 2018. Darren Poore has been named president of Triple Q effective immediately. Poore was previously with Baker Concrete Construction for 13 years, managing numerous commercial and industrial concrete construction projects throughout the Midwest, southern United States as well as Colorado. Prior to Baker Concrete, Poore worked as the operations manager for Ball Brothers/Ball Concrete Construction focused on residential projects. Custom Concrete has been constructing foundations for the finest homes, commercial buildings and industrial facilities throughout central Indiana since 1969.